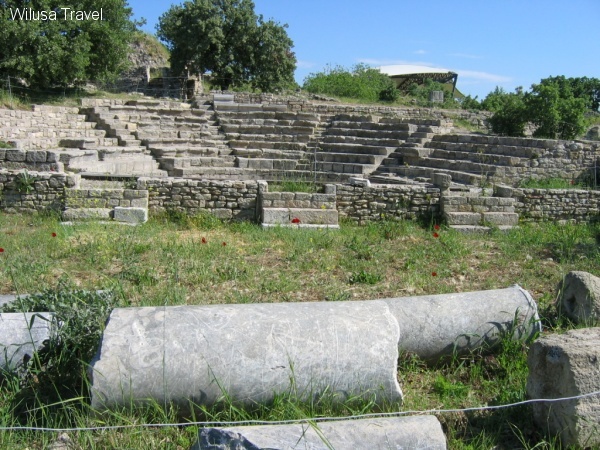 Troia Ancient City which is connected to the center of Intepe town near the Tevfikiye village, away from 30 km. Biga Peninsula which is known as the region between ​​Marmara Sea, Canakkale Strait and Edremit Bay are considered to be ancient name of the Troad, or Troas. 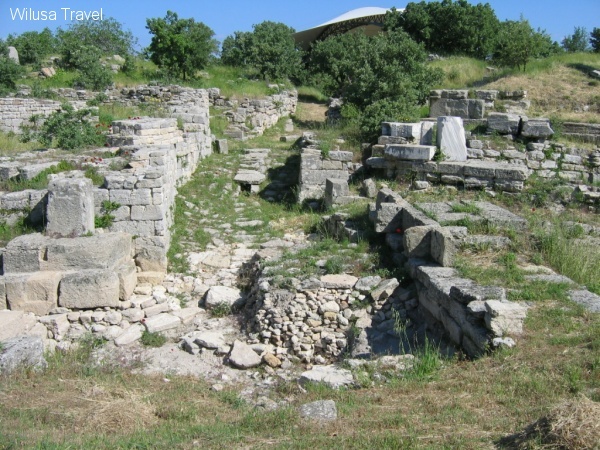 According to archaeologists had been given its name to the region which was the most important of the various ancient settlements or locality, which took the name of Troia (Troya) city. Troia (Troy, Ilion) which translated from Ancient Greek to the name of the city which is considered to translate our language French to Troia Troy, or settled in Troy. Troy (Truva, Troia, Tros) is located at the mound ‘Hisarlik’ on the east side of the river Scamander, where the Dardanelles strait join with the Agean Sea. Different names, depending on the period, were given to Troy such as Ilion or, in Latin, Ilium. Troy ( Truva, Troia) is about 32 Km. away from the city of Canakkale. The transportation is easy and frequent by minibuses from the city center. In clear weather, you can see Bozcaada (Tenedos) on the opposite side of Troia. Due to the strategic location, Troia (Troy) has attracted the attention of many civilizations for centuries. The roots of the city can be traced back to more than 4000 years, and known as the center of ancient civilizations. Thus, Troy was selected as the World Cultural Heritage by international legislative bodies. Wooden Horse and the Archilles' Hell come from here. Many years, people believed that it was the city in tales and never existed until it was first found. Troy is famous for several reasons. It is a site that was continually occupied from the early Bronze Age to early Byzantine times. It is also associated with the sagas of the Trojan War written by Homer in ‘ the iliad and odyssey ’, which is the foundation stones of European literature. Homer immortalized Troy (Truva) in his stories of King Priam, Hector, Paris and the beautiful Helen. The excavations in the site can be traced back to 1870s, which can be considered as another historical event by its own. From 1988 onwards, excavations have been directed by Professor Manfred Korfman of Tubingen University in Germany in the sponsorhip of Daimler – Benz, who received the UNESCO "Media Save Art" award in the area of sponsoring. Archaelogical digs have revealled nine cities with various ruins of city walls, typical house- foundations, a temple and a theather. After nine cities were unearthed, those have been subdivided into 46 strata. 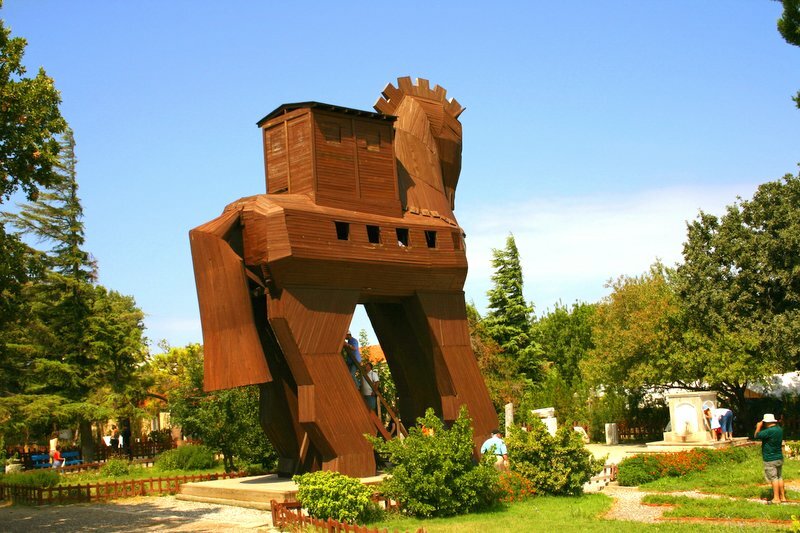 A symbolic wooden Trojan horse commemorates the legandary war. Unfortunately the famous Trojan treasures were stolen by Heinrich Schliemann, the famous archaeologist, in his excavation period in 1870s and now it is subject to the great efforts of the Turkish Government to return back those treasures from the Pushkin museum in Moscow. In the Bronze age, Troy had a great power because of its strategic location between Europe and Asia. 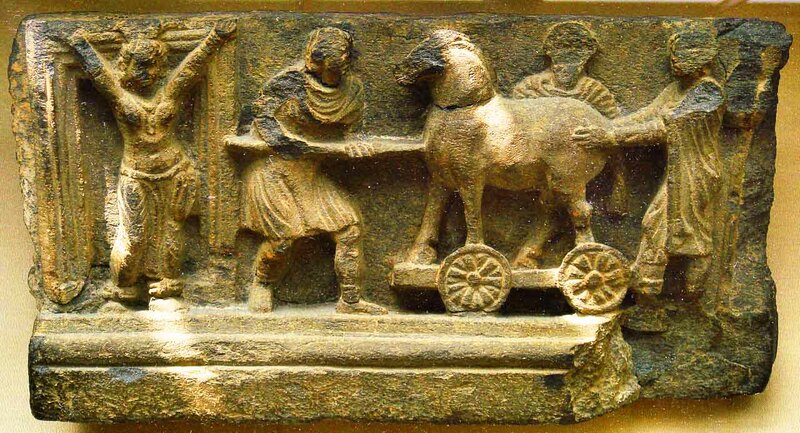 Between 3000 - 2000 B. C., Troy was a cultural centre. After the Trojan War , the site was apparently abondoned. About 700 B. C., Greek settlers occupied the Troas. Troy was resettled and named Ilion (ilion) . At the time, Ilium or Ilion was regarded as a 'sacred' city which attracted pilgrims by the fame of its wars and its woes, and by the shadow of ancient sanctity resposing upon it. Alexander the Great ruled over the area successively from the late 6th century B . C. . After the Romans captured Troy in 85 B. C. , it was partially rebuilt. After the occupation of Constantinopole ( Istanbul ), Troy lost its importance. This is the legendary war between the Greeks and the people of Troy, which was narrated by Homer in ‘ the iliad and odyssey ’ . Once upon a time, Paris, the handsome son of King Priamos, visited Menelaos, the King of Sparta. He seduced the beautiful queen Helen and abducted her away to Troy in the dark of night with his ship. Later on, King Menela Menelaus persuaded his brother Agamemnon to lead an army against. In order to win favorable winds for the journey, Agamemnon sacrificed his daughter Iphigenia to Artemis. The winds came and the fleet set sail for Trojan War, which lasted for ten years. After the failure of The Spartans to capture the Troy, a devious plan was decided. A big wooden horse were built, which was filled with their best warriors. Spartans was seen as giving up the siege of Troy and returning back to their homes. The Trojans, who were watching the situation from the towers went out of their castle, victoriously shouting and took the horse into the city as a war loot. Big celebrations were performed at night by the people of Troy. 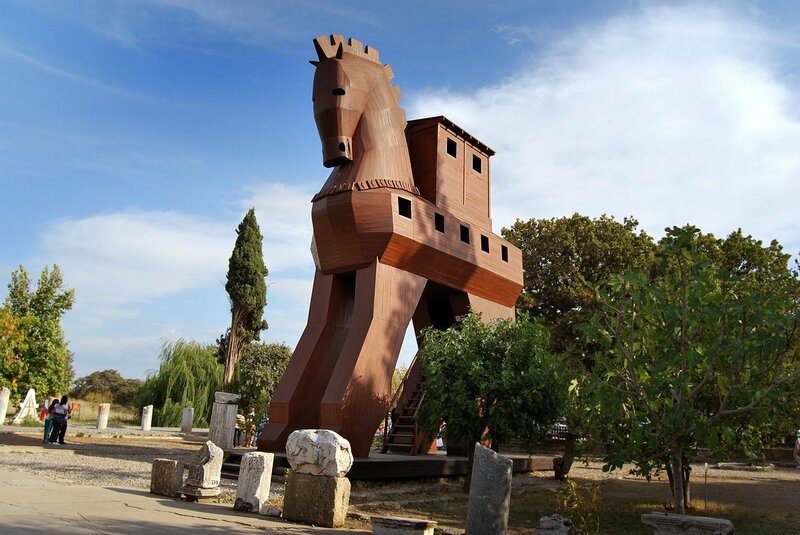 When everybody get drunk in Troy, the warriors inside the wooden horse got out and attacked the soldiers of Troy. In a few hours time, Troy was conquered by Spartans. NOTE: The ruins of Troy office hours changes 08:00 to 19:00 during the summer.